Yes, I know it sounds crazy but the more water you drink = The less water weight you'll carry around. Wear sweatshirts or any other warm clothing to make you sweat more. Sitting in a steam room for 10 minutes will get rid of excess salt/sodium. And you could exercise! Just drink plenty of water to flush out excess sodium and water. If you don't eat too many carbs for the next two days and let the carbs stored in your body burn up for energy - the 3-5 lbs of water that was packed in it will vanish as well. You should Drink at least 1/2-to-1 ounce of water per pound of body weight. Use the water calculator below to figure out how much water you need to drink to flush out excess water weight from your body. DO NOT Drink distilled water. DO NOT Drink your water all at once. You should exercise or safely use steam rooms or saunas to help you also flush out excess sodium & water and you need to take a multivitamin daily to replace any essential minerals you lose while flushing out excess sodium & water weight. The only carbs you should get for the next 2-to-3 days should only come from fruits and veggies and… Everything else you eat should be high in protein / low in carbs - See a list of high protein foods good for weight loss. This plan will only help you lose water weight real fast so you need to pick one of these weight loss plans if you want to Lose BodyFat and keep it off forever. Do you typically see water weight come of the scale in morning? I started at 175 Monday morning then this morning was at 173 this afternoon I’m at 174. Hello! I have a dance in two days and I really want to lose some weight. I don't think I weigh too much, but I would like to lose some. i just want to get rid of belly fat . but i eat to much chocolate, snacks ! I weigh 165 and I am trying to get to 145 in three weeks, i am 5'5 with a big stomach, waist and thighs. I want the weight to come off those areas, how do you suggest I try to reach my goal. Im 5'3 and weigh 142. I want to lose 10 lbs as fast as possible. How can I do that? Hi, I’m trying to make weight for a competition in one week. I need to weigh 108 lbs. however, every morning I weigh 109 to 109.8. Based on what I’ve read I should stop drinking water 12 hours before weighin and limit food intake as well. Hi, I have MEPS aim two days which is essentially military medical clearance. I’m 176 right now after drinking a ton of water for the last 3 days. I need to be around 173. I think I’ve lost most my water weight tho bc I started at 179. Plz help, thanks. Hi I need to lose 4 pounds in about 4 days. I’m 5’1/2 and 143pounds. I’m trying to weigh in for the military and I want to pass tape. Can I lose the weight in that time? I can tell you to stay away from all higher carb snacks, drinks etc. idk as far as fitting into dress (b/c i never had to) so I don't know if you need to lose weight in a certain area etc. I may have started this too early. I want to keep the water weight off for an event in 8 days. Should I start it again closer to the event? If I keep cutting carbs and sodium, will it stay off? I've been struggling with loosing Fat/Weight myself, have tried a lot of different things, yet noting really seems to work. I was wondering if I can get your opinion on this course I found ownyourhealthandlife.wordpress.com , I just want a second opinion before getting it. Hoping it will let me lose fat quickly. Hello, I have put on approx, 45 lbs maybe a bit more in a year's time. I'm 5 feet 6 inches and weigh 167lbs now. Seems that most the weight has gone to my belly and it tends to get bloated fast, and my thigh areas and hips etc. Do you think this would be more water weight then anything. I never have weighed this even during pregnancies. 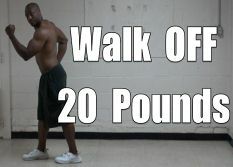 Would this work, if I did the water weight loss program and how much would you think I would perhaps Lose in. A couple days? 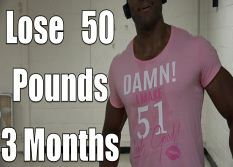 I need to loose at least 2kg by Wednesday and I’m 50kg, can this method apply to the situation? I am 5'5" 164 lbs. I am vegetarian. 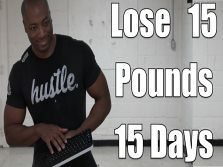 What do you suggest I do to lose 5 lbs in 1 week? What veggies should I load up on and what fruits are the best to accomplish this? What about protein powder? Thanks! I gotta eat less or a little carbs to lose water weight. I've been riding my bike for a while. Gotta drink more water. I have 2 days to lose at least 4 lbs to win a bet. Will this plan work for me? I've already cut my carbs and started drinking a lot more water. I'm still eating a normal amount of sodium, though. It only takes a few months to lose weight. I am female, 5"3 at 160 (55 years old). started your plan yesterday. how much can I lose in 20 days? I'm female 32y/o, 4'9 and 119.05 pounds. I want to be atleast 99.208pounds for a week. Can you help me.